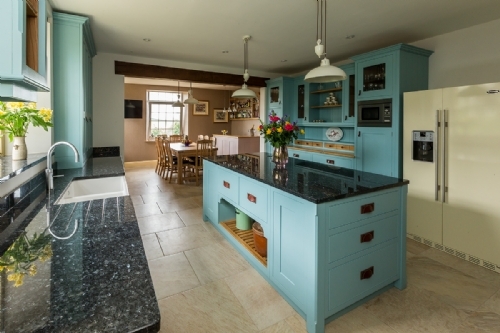 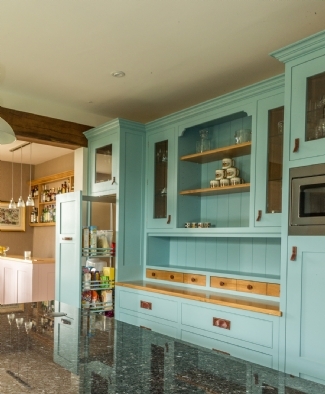 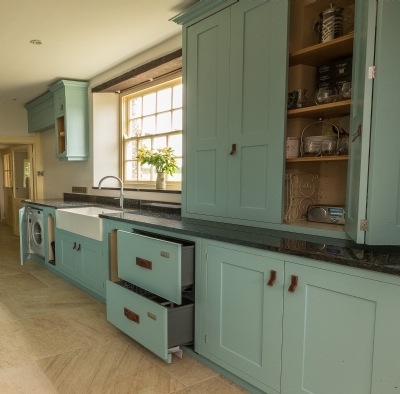 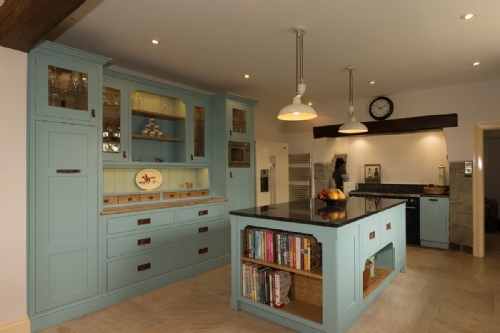 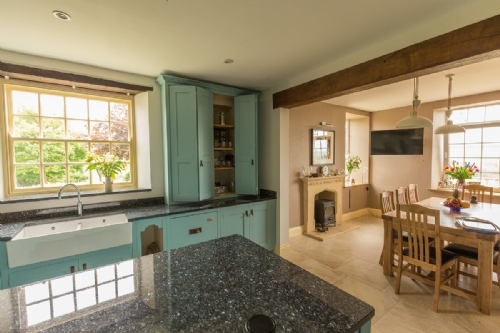 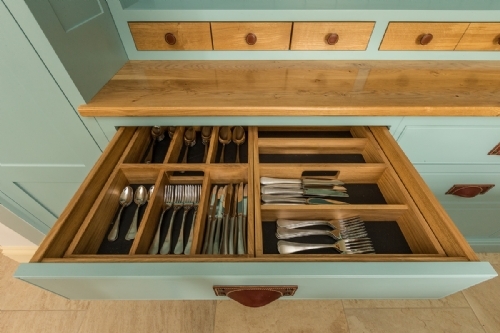 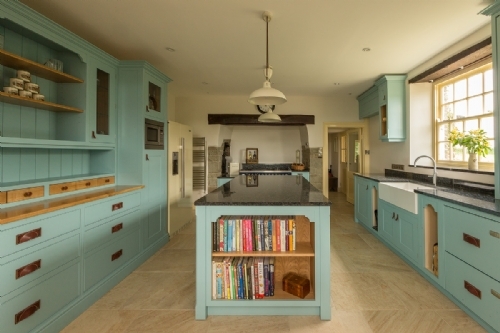 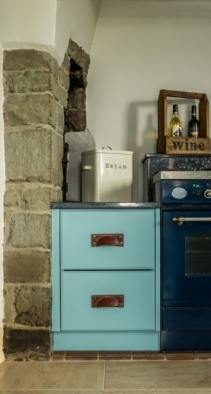 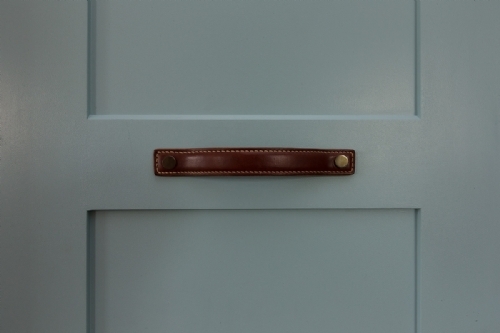 A vibrant sea-blue palette and luxurious leather handles adds a sophisticated twist to classic Shaker cabinets in this beautiful Devon home. 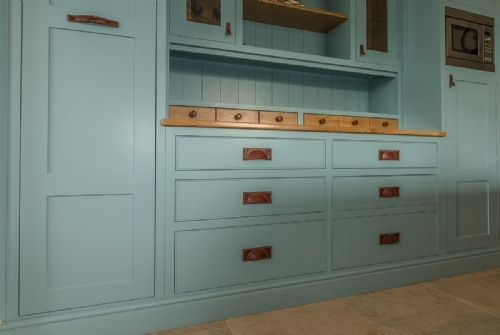 Oak accents bring warmth to the dresser unit, while the island ends in oak clad bookshelves. 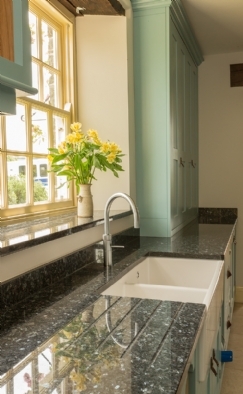 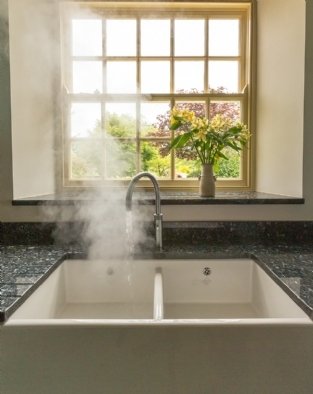 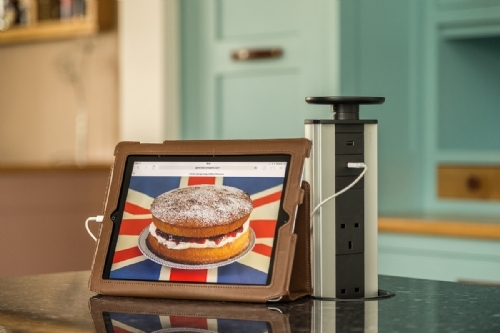 Bursting with the latest kitchen kit, the chic taps deliver instant boiling water and pop-up sockets provide a sleek solution in the island worktop.